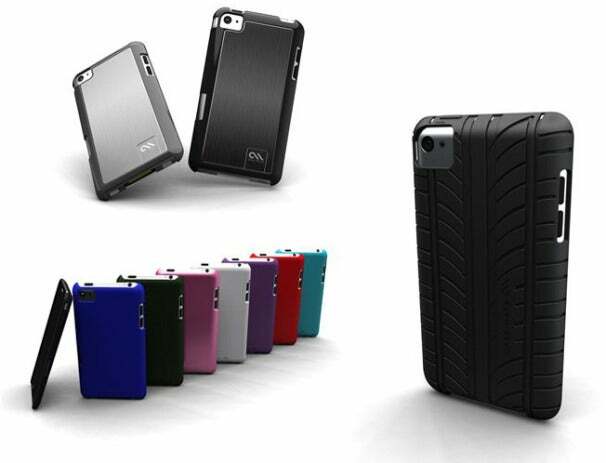 Early Thursday, iPhone accessory manufacturer Case-Mate published a page showing six case designs for the upcoming iPhone 5. These designs give us the best sense yet of what the iPhone 5 might look like. Case-Mate's iPhone 5 preview site is still up but the case designs have since been pulled from the site. The case designs, which have a mock iPhone 5 inside them, show a phone with rounded edges and an brushed aluminum background. The designs confirm a lot of what we've seen and heard about the next-generation iPhone. In fact, the designs line up nicely with a report from late last month that the new phone will have a metal back and a slightly smaller bezel to fit a larger screen. Now, this isn't the first iPhone 5 case leak we've seen--and such leaks are not always the most reliable indicators of iPhone design. Back in May, for example, a Chinese manufacturer put out a prototype case for the "iPhone 5g." However, this leak may be slightly more reliable, as Case-Mate is a fairly established name when it comes to iPhone accessory manufacturers. The timing of the leak also lines up well with earlier iPhone release schedules. The iPhone 3G's design was revealed by an early case leak about a month before release and most analysts and rumor sites agree that the iPhone 5 will launch sometime in October. If Apple wanted to give some manufacturers an inside scoop they'd likely have done it by now. It seems likely that some manufacturers at least know something they aren't telling. Other manufacturers haven't leaked new designs, but they have put up similar preview pages, such as this one from More Thing. Of course, no matter how much evidence there is these designs have not been confirmed. There's always the chance that they're simply the work of a designer over at Case-Mate with an active imagination and no real information from Apple. We contacted Case-Mate about the designs and their speedy removal but did not hear back in time for this story.